SNOW MOTION™ axle system: gives frame additional 30% "torsional rigidity" for ultimate traction on double fall lines. Great set for beginners to novice. Very secure binding system. I never had to re-adjust them while in use. The only problem I had was with the 3 1/4″ snow baskets. They would not fit on the poles. I had to use the smaller ones that came with the kit. I think it was just a random production issue. The threaded hole on the baskets were smaller in size compared to the other ones that came with the kit. 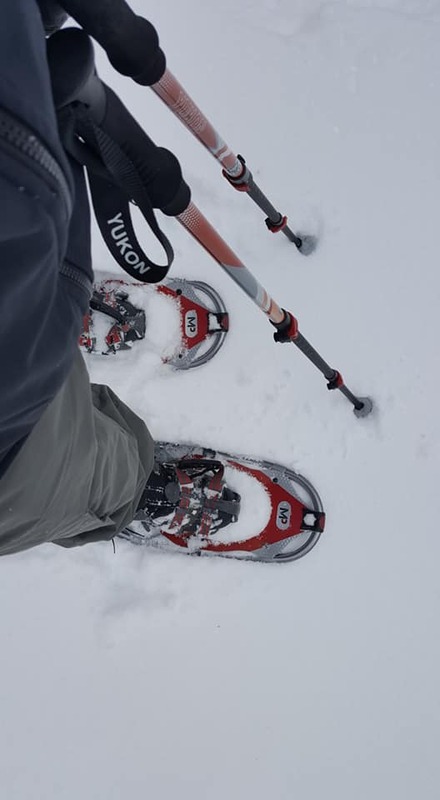 I have never used snowshoes before and walked probably 3-4 miles on my first adventure in about 7 inches of fresh snow. I really like them. Highly recommend for the recreational user.